This is a good sized room (16ft * 16ft) with access from the Main Hall, Games/Social Room and from its own outside entrance. It is complete with a large constant water boiler for hot drinks, large range cooker, microwave, commercial dishwasher and fridge. There are plenty of worktops and large serving hatches to both the Main Hall and Games/Social Room. Cutlery and crockery can be hired. from the Main Hall through communicating doors. It provides bottled beer/lager, canned beer/lager as well as a good selection of alcoholic and non-alcoholic drinks. The Bar is able to source wines including champagnes for dinners, celebrations and other drinks on request. 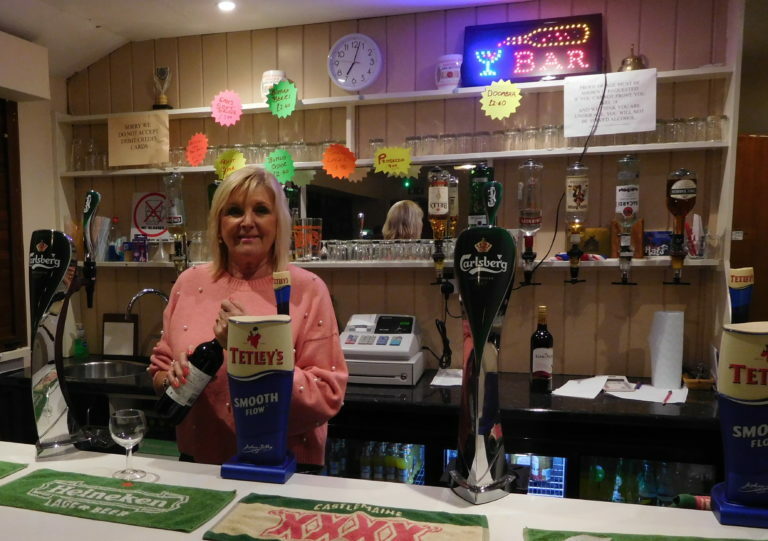 It is manned by experienced Bar Staff. Normal Opening Hours are 7.00 pm to 11 pm. Opening outside these hours to be agreed at the time of hiring.